The State of Chhattisgarh is divided into five river basins -- The Mahanadi Basin drains out 77,302 Sq km, Godavari Basin drains out 38,361 Sq km, Ganga Basin drains out 18,865 Sq km, Brahmani Basin drains out 1,316 Sq km and Narmada Basin drains out 2113 Sq km of catchment area in the state. A map depicting the river basins is given below. Ganga Basin -- Son sub basin, Banas sub basin, Gopad sub basin, Rihand sub basin, and Kanhar sub basin. River Mahanadi, draining the vast central region of Chhattisgarh state, forms the most important and biggest water body of the state. This river system collects almost all the rainwater of the basin and carries it to the Bay of Bengal. The volume of water varies considerably between the rainy and the dry season. 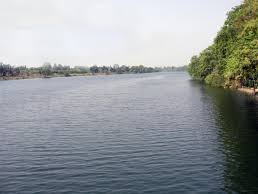 The Mahanadi, after collecting a number of streams in the Kanker tehsil, flows towards the north traversing Raipur district in a northeast direction for about 204 Kms, until it is met from the west by its biggest tributary, the Seonath. 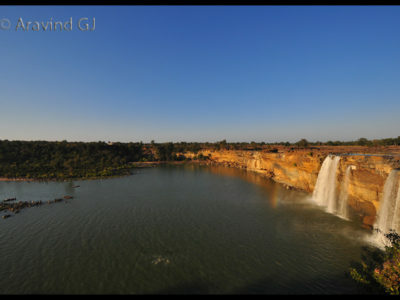 The portion of Mahanadi Basin located in Chhattisgarh is divided further into a few more basins. The Chhattisgarh Basin lies in the central districts, in the north are the Raigarh basin, Hasdo- Rampur basin, and the Korba, and in the south is the Kanker basin. The Chhattisgarh Basin formed by the Mahanadi and its main tributary Seonath, drains the central districts of Rajnandgaon, Durg, Raipur, and southern Bilaspur, and is the most extensive and agriculturally rich region in the state. It is referred to as the `rice bowl' of the country and supports a large chunk of the population of the state. Paradoxically, this is also the area of greatest drought related distress. Chhattisgarh is endowed with high rainfall. Areas of chronic shortfall are few and localized. The rainfall is typically late in coming, very heavy when it comes, concentrated in a few days and bouts, and early in termination. This rainfall pattern combines with high gradients, hard rock sub-surface characteristic, and low percolation to result in massive and rapid run-off of rainwater. The main water bearing formations are the sandstones of the Gondwana formation. The alluvium formations of the river basins of Mahanadi, Shivnath, Arpa, Indravati etc. are also potential. The cavities and weathered portions of limestone and dolomitic formation are also very good for ground water storage in the Chhattisgarh region. At the time of formation of the State sources the irrigation potential of 13.28 lakh hectares, which was 23 percent of the total sown area. Estimates show that 43 lakh hectares can be brought under irrigation, 33.8 lakh by surface sources, and 9.2 lakhs from ground water sources. After the formation of the state, priority was given by the government to raise the average to 48.9 percent. 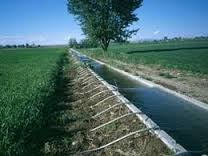 In the year 2008-09 the development of water resources and enhancement of irrigation potential was accorded highest priority. In 2011-12 the irrigation potential was increased to cover an additional 0.35 lakh hectares. Till March 2012 a further 5.16 lakh hectares were added taking the total irrigated potential to 18.44 lakh which comprises 33.15 percent of the total sown area. As of March 2012,the construction of 8major, 33 medium and 2347minor projects had been completed in the state and 3major, 6 medium and 412 minor irrigation projects were under construction. 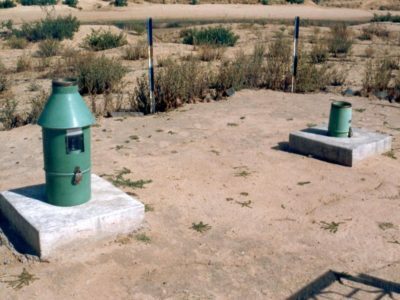 Likewise, up to the year 2011-12, through 26 departmental/governmental tube well projects, comprising of 1134 tube wells, an irrigation potential of 25500 ha were created, and through private tube wells under beneficiary oriented schemes, 598 successful wells helped create an irrigation potential of 2990 ha for the year 2011-12. Conserving and protecting the water bodies and wetlands through regulation and enforcement of standards for water infrastructure, uses and waste disposals. Enforcing the recycling of industrial effluents and water disposal. Key elements of the Draft 2012 State Policy of Water Resources Development include (a) water resources planning; (b) water resources development; (c) water resources management; (d) rationalization of water rates; and (e) water conservation. River basins of Mahanadi, Godavari, Ganga, and Narmada cover a large part of Chhattisgarh. While the large forests help in ground water recharge, pockets with a high concentration of population and industry now face water shortage. Lessons need to be learnt from other parts of the country facing water shortages and response strategies planned in advance. The main sources of water for the State are rivers, tanks, and ground water. However, surface water sources have not been able to keep pace with the shooting demand and increasing use of the ground water is being made in many areas. Even though greater use of surface water is being made for irrigation, the trend will reverse when agricultural intensifies. In line with the State Water Policy of integrated development of water resources, in 11thPlan the State persistently worked to increase net availability by improving both ground and surface water; irrigation projects were taken up to increase both the potential and the storage capacity. 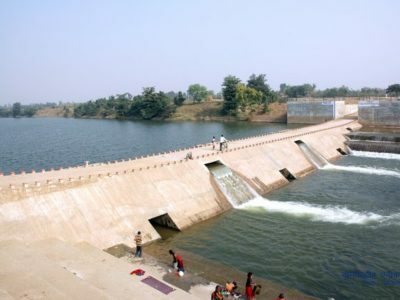 The state will aim to make substantial progress on 4 major projects (Bango, MRP, Arpa-Bhaisajhar and Pairy), completion of Kelo Project, lining and repair of canals of major projects, completion of 9 medium projects that are at various stages of development and construct anicuts throughout the state to increase irrigation potential by at least 3 lakh hectares and provide irrigation to all regions. The hydrogeology of the State does not support quick recharge due to large presence of hard upper crust and very few regions with water yielding mediums. Therefore, any plan for ground water conservation and recharge has to be long-term and well planned. The state has drawn a 25-yearMaster Plan covering all five major river basins to increase the irrigation potential to 64 percent of the sown area. In the 12thPlan it will work on an integrated river basin management plan beginning with aquifer-mapping for watershed development and improved water use efficiency, and also integrate ground water recharge plans with water usage. The transition from flood irrigation to precision farming has already begun. A State-level Water Resource Regulatory Authority will be created to develop a ground water draft policy, ensure retention of ground water quality, and promote conjunctive use of surface and ground water. Dysfunctional piped water supply schemes have led many rural habitations to ‘slip back’ to unsafe drinking water sources, as noted by the Planning Commission. Experiences elsewhere have shown that greater community involvement in the management of piped water schemes improves the probability of their success. Systems for tracking and monitoring household water security throughout the year will be established to prevent such slippages. Complementing this, the role and capacities of Water User Associations and Village Water Sanitation Committee will be enhanced for ensuring better provisioning, repair/maintenance, and quality of irrigation and drinking water. Quality of water is important for improving health and sanitation and for reducing disease and mortality. Water quality monitoring modules and mitigation mechanisms will be set-up through better coordination among departments to tackle fluoride and iron contamination of ground water sources and arrest water salinity in some parts of the state. The target will be to connect at least 70 percent of all habitations and 55 percent households with piped water supply by the end of 12thPlan and involve community/PRIs in the management of all drinking water sources. No in-depth climate vulnerability and risk analyses currently exist for the State. Nevertheless, a range of studies has examined various aspects of vulnerability of water resources to climate change and its impacts elsewhere in similar contexts. Climate change can affect the hydrological regime changing water flows, precipitation levels, and evaporation. These changes would in turn impact the communities adversely as the pressure on natural resources and environment would compound; water availability in the rivers will be affected; crop yields could decrease, therefore jeopardizing food security; and leading to health concerns due to occurrence of extreme events such as floods and droughts. While some regions would receive excess precipitation, there might be reduction in other regions (adversely affecting arid and semi-arid areas); increased evaporation; changes in runoff and available surface flow also causing changes in the groundwater recharge. Patterns of seasonal distribution of rainfall can shift, and these can cause significant problems, especially for agriculture. Extreme precipitation events could have geomorphological significance to the State. The response of hydrological systems, erosion processes and sedimentation in this region could alter significantly due to climate change. Increase in rainfall is likely to causes fresh floods landslides and damages to the landmass. This has a very severe implication for the existing infrastructure such as dams, bridges, roads, etc., for the areas and shall require appropriate adaptation measures to be taken up. state including other improvements required in hydrometric networks to appropriately address the issues related to the climate change. Surface and ground water quality data collection, etc. Physical sustainability of groundwater resources will be accorded high importance, and intensive programmes for ground water recharge in over-exploited areas will be taken up. The State will take up steps for addressing the quality aspects of drinking water especially in rural areas, while also seeking to improve water efficiencies in urban water supply systems through promotion of water efficient techniques, technologies, and management, including effective and timely operation and maintenance of water resources projects and infrastructure assets across all water sub-sectors in the State. A water resources and climate change “Cell” will be set up for the necessary coordination and monitoring mechanisms. Documenting sectoral responses, learning what worked and what did not, dialogue and sharing of data and information, etc. will be carried out as essential functions either by the individual agencies involved or collectively by a nominated agency. The gender dimensions of water use and management are fairly well documented. It has long been noted in the gender and environment literature, for example, that women and girls generally assume primary responsibility for collecting water for drinking, cooking, washing, hygiene and raising small livestock, while men use water for irrigation or livestock farming and for industries. In the context of climate change, the imperative will be to ensure that that policies and programmes draw on the existing body of knowledge on gender and water to inform interventions – and scale these up. To support the integration of gender knowledge into policy and planning. The private sector has considerable experience, expertise, technologies, and innovation capabilities as has been demonstrated in many other States in terms of increasing private sector involvement in water sector, especially by way of PPPs and other projects.